Discussion in 'Lights - Store Bought and Home Made' started by The Bald Boy, Nov 10, 2018. I have a lot of dumb Big W lights with a MFC. I would like to get rid of the power pack that comes with it and use a PSU. This will save me a lot or power boards and extension cords!! What type of controller I need, if needed at all? Can I just plug the wires from the LED into the PSU? Can I use the MFC that comes with it to ensure the light changing pattern? Or Do I need something else? It's a 3 wire 2 channel controller assuming that it's both power and lights that are coming in the bottom. I currently have a Falcon F16v3 and a Raspberry pi 3B+. I will run a 12V PSU to the Falcon for some led strips I have purchased. There are many posts on the forum that describe how to do this so it is worth while doing a search and seeing what other people have done. That being said, Big W have changed their light strings a few times over the years and you may well have a few different ones there. I modified a bunch of mine and use them on some mini trees that I have. I use a 27v power supply and run them off a 24 channel controller. Each set of lights is 2 channels. so the are orange and green or blue and red. This controller is fed DMX from the output port from your f16v3 (ports 1 to 3 that look like an ethernet port) then you set them up in the settings to say they are dmx out instead of strings. But this will only work on the 3 string models as the 2 string models work on simply switching the polarity back and forth to get the different colours. The Bald Boy likes this. I used one of @AAH 2811dc30 controllers with a 27 volt power supply to control mine. Then made a sequence in Xlights that mimicked the flashing pattern I liked from the MFC so it was like nothing had changed. With the controller, like @scamper does, they then become controllable through Xlights so you can include them in your show if you wish. Using 1 power supply isn't quite as easy as hooking it up to the existing controllers or hooking multiple lights to existing controllers. There's a range of voltages in your controllers for your lights with a mix of AC and DC. The AC have a ~ looking symbol and DC have a symbol like = but the bottom line is dashed. The AC type controllers will typically have 3, 4 or 5 wires out to the leds and 2 coming from the plugpack. These are the easy ones that can be controlled with normal DMX controllers. DC type controllers in my experience will generally be the dreaded 2 wire 2 channel ones. They'll only have 2 wires going out to the leds. Connecting multiple strings to 1 multifunction controller is an issue because the controllers will generally only have a very low current rating. The AC type will commonly have a 24VAC 1A rating on them as they use a generic design and low cost parts. 3/4/5 wire lights can be controlled with a conventional DC dimmer like most DMX boards or via my pixel to DC boards 2811DC15/2811DC30. The 2 wire 2 channel ones require a special system to control them as they are designed so that the polarity of the wiring needs to be reversed to control each half of the lights. Using a slightly different voltage for a number of different lights isn't always a huge hassle. Using too low a voltage will mean that sometimes led strings won't light up as the voltage isn't enough to turn on the 6,7,8 leds that are wired in series. With too high a voltage the current the leds get will be higher and they will be brighter but as long as the leds are flashed rather than being on 100% this generally won't cause a problem. What sort of money would you be looking at to replace the plug ins, then of course i guess you would need something to make them flash in unison ? Just an fyi @AAH and others reading regarding the slight voltage variances when using DMX boards. What I did was connected all my strings and turned them on at 100%, then turned the voltage up on the PSU until I noticed a flicker, which was in 2 sets of rope light. Are you talking about a DMX controlled flashing in unison or a standalone controller? 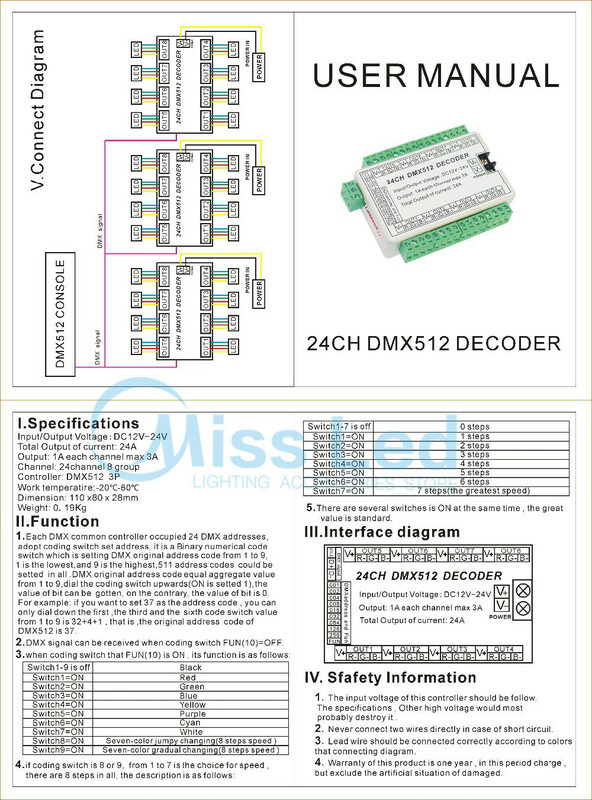 Currently the only option is my DMX2-18 but next year I'll make up a standalone controller that multiple 2 wire light sets can be plugged into. I'm thinking I'm in a similar boat here..... got a stack of Big W purchased led strings, which are two wire ones. and was thinking there might be a way of utilising them as I upgrade to a Falcon F16v3 this year as part of going pixel lighting. Maybe I might just stick with all the plugpacks and keep them running till they croak it. The DMX2-18 can be ran from an F16. Alternately I made up a 2811DC2-30 which I am yet to test. This would allow control from any source of 2811 data including the pixel testers.